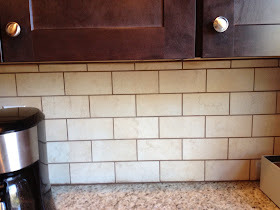 Diving Into the Waves: The Kitchen is Finished! I don't want to muck up this post with pics of the previous kitchen because the comparison is just insane. 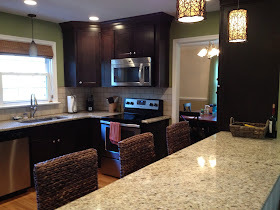 But click here to see pictures of the original kitchen. It's just ridiculous that it's even the same space. And those pictures don't even do justice to the fact that there IS A WALL DOWN!! 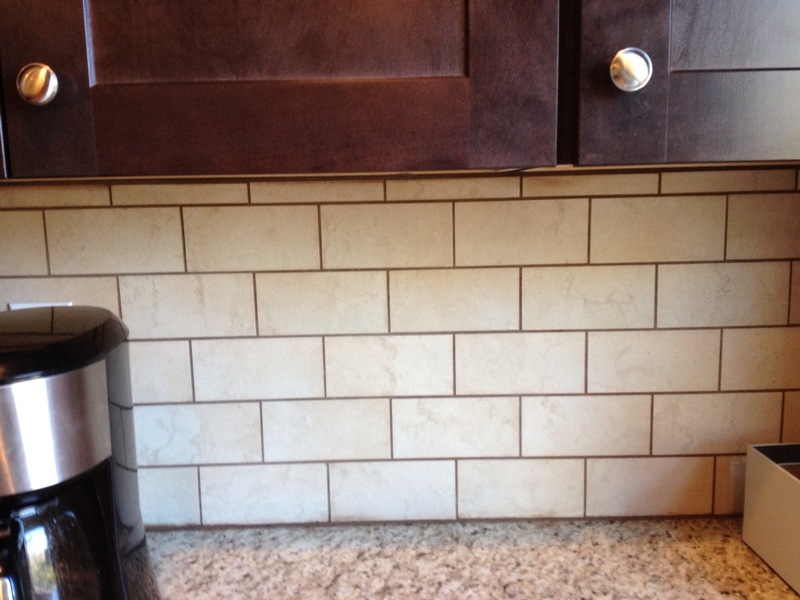 Speaking of the wall, from a PWS perspective, we decided to go with an open kitchen. This way we can see where Dean is at all times and we still have the ability to lock the fridge and the pantry closet if/when the need arises. We are taking it on faith that this will be a helpful solution for us. If you're just here to look at the kitchen and have no clue what I'm talking about, click here for more info (the third paragraph in particular addresses what I'm talking about). For the amount of details that were involved and the amount of people that needed to come in and out of the house, Kitchens 21 made it really quite easy. This was really important to us, as having 3 small children going through a remodel with us was not by definition "easy." Bob was always able to be reached if we had a question or concern, and his commitment to making sure that we were happy with how things were going continued throughout the project. 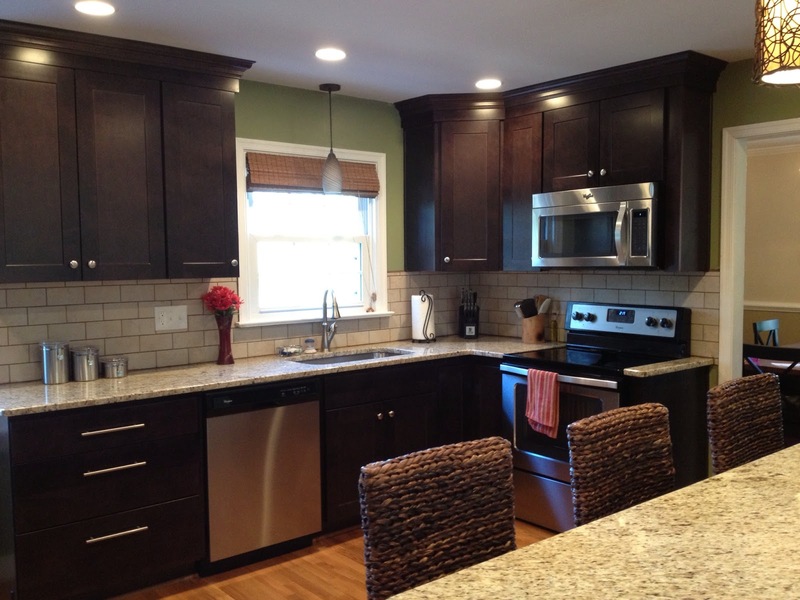 We started with the cabinets and picked the dark sable color of the Wolf Dartmouth (shaker-style) cabinets. Initially, we didn't think we would like dark cabinets, but then once the wall came down between the kitchen and the family room, it made total sense to go with the dark. 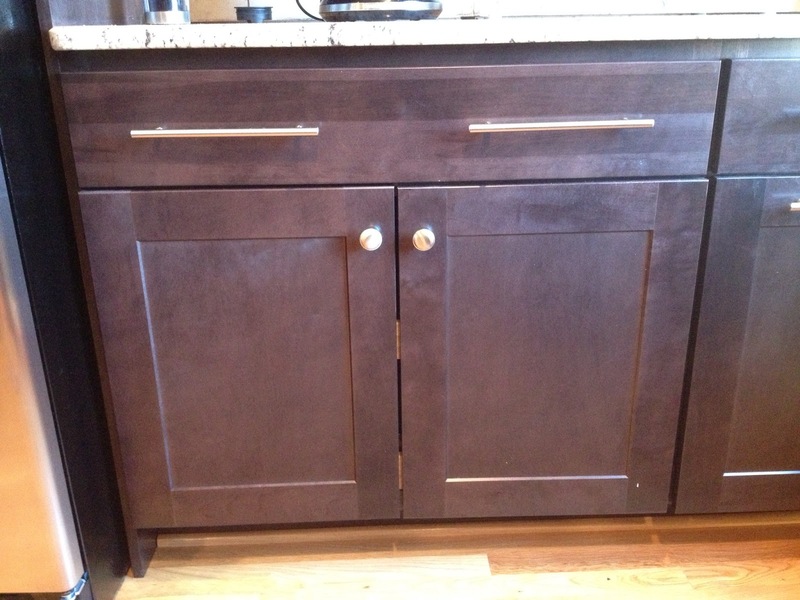 The drawers and cabinets are all soft-close, which is wonderful for this heavy-handed family. 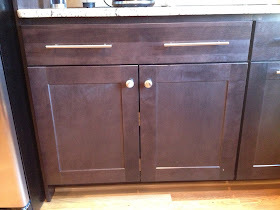 We finally have cabinets that fit our dinner plates (imagine that!) and we can use ALL the cabinets since they aren't water-damaged and musty-smelling. We have pantry shelves in the tall cabinet next to the peninsula, so we're able to use the old pantry closet as an overflow closet and a place for things like the vacuum, brooms, cleaning supplies, etc. 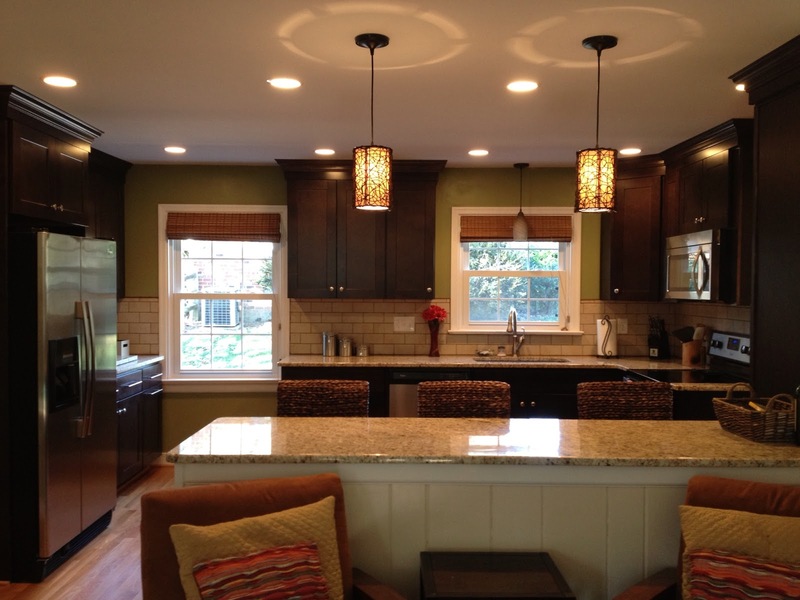 The countertops are New Venetian Gold granite and we love how it brings out the dark brown in the cabinets and the green on the wall. 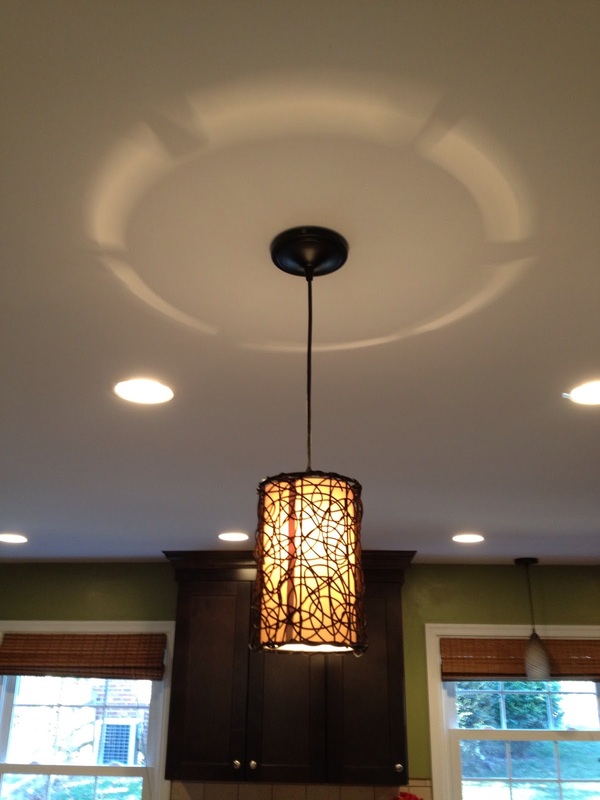 The pot lights make a HUGE difference in the lighting in the kitchen. 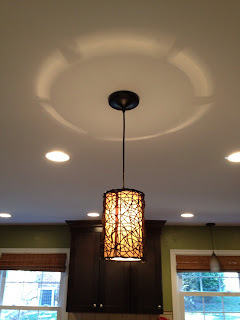 Previously, we only had one small chandelier over on one side of the kitchen, so it was like a cave in there at night. Now we have as much or as little light as we want! 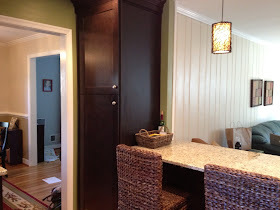 I had agonized over the color green for the walls, but in the end with everything that is covered with cabinets, and the backsplash and such, there's not much wall to paint in the first place! We ended up going with Grassland, which is a Valspar color that is just a slightly sage-ier version of the green we had before. It's perfect! I love the color so much that I'm trying to find something else that I can paint that color. Haha. 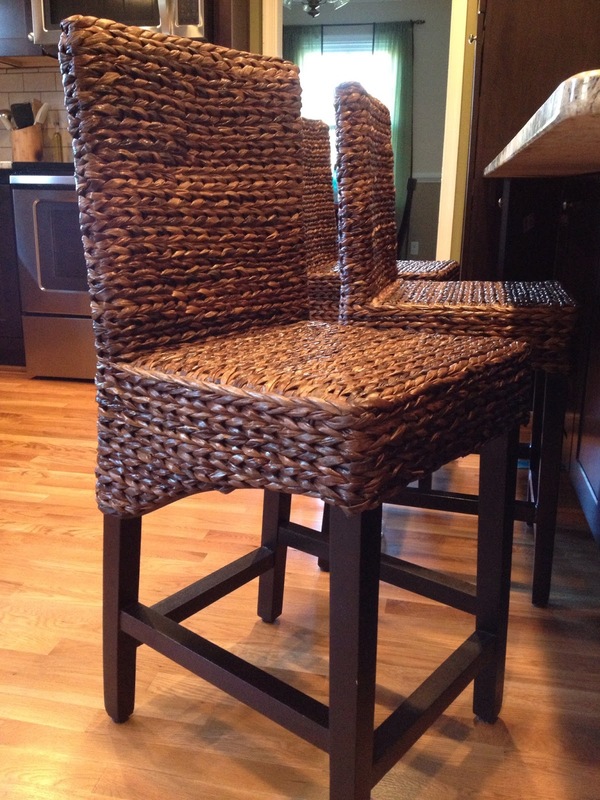 The counter stools are from Target! Bonus is that they were preassembled. :) I have assembled a serious amount of Target furniture in my lifetime and so I was happy just to open and unwrap these babies. The hardware is from Target (the knobs were from our update of the hardware on the original kitchen) and Lowe's (the pulls for the drawers). 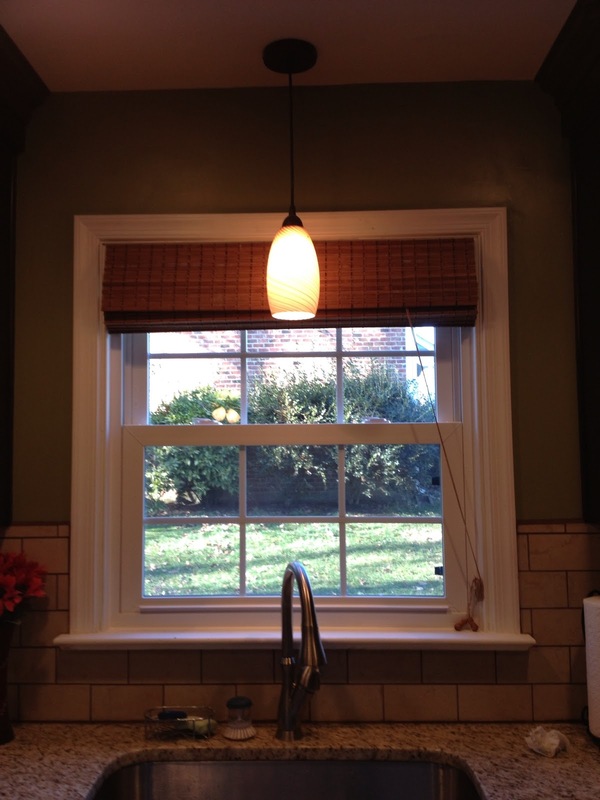 The shades on the windows are from Overstock! 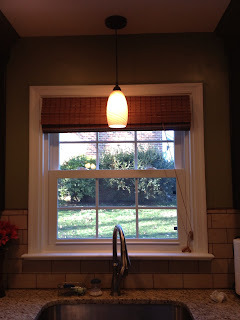 Our windows are weird sizes and I was shocked when Overstock had them in the sizes that we needed. They are ginger-colored bamboo roman shades, and while they don't block out everything (you need a liner for that), we really like them. Bob (our Bob, not Kitchens 21 Bob) had a hard time installing them because they JUST barely fit, so we had better like them anyway. Haha. The faucet is Delta and the sink, which you can see a little bit in the picture above, is a HUGE single bowl sink. I loooooooove single-bowl sinks. No awkward divider in the middle making it a laborious task to wash cookie sheets or any other large object. Heck, the other day, I fit the better part of a Rubbermaid storage bin in the sink to rinse it out! 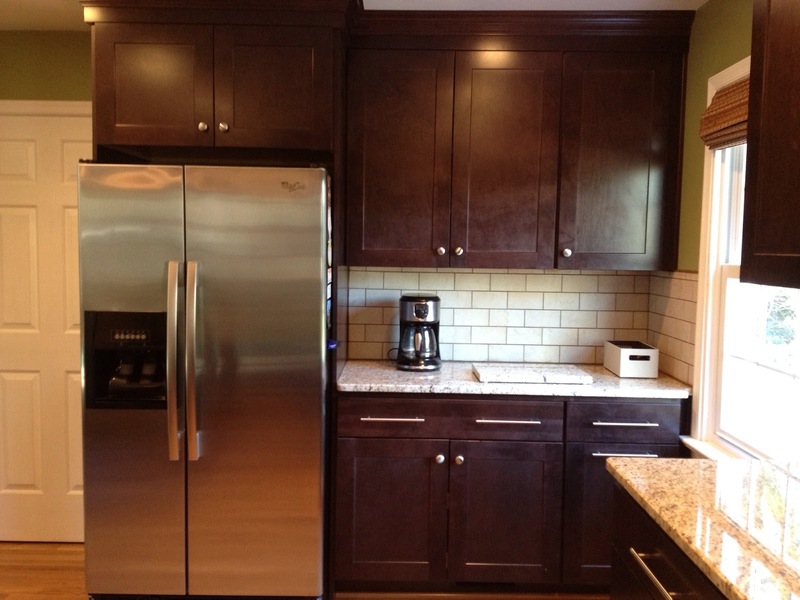 The appliances, which you can see throughout, are Whirlpool stainless steel appliances from Lowe's. 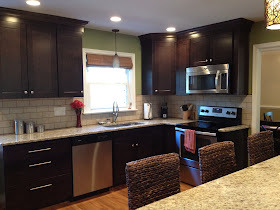 We were going to reuse our previous black appliances, but once we decided on the dark cabinets, it just was going to be a little much to have it all be so dark. Fortunately, our next-door neighbors bought our black appliances (woot!) and Lowe's had a Black Friday special back in November (woot again! ), so it worked out well. There's the breakdown! Kitchens 21 had a lot to work with in our kitchen. We asked them to take down a wall and with all the crazy details that come with an older house (awkward wall transitions, uneven ceilings, etc. 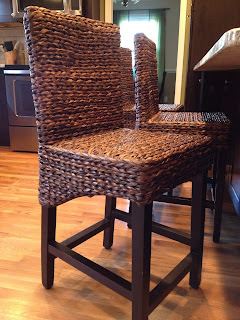 ), they did an amazing job and came up with creative solutions to make it all look awesome. 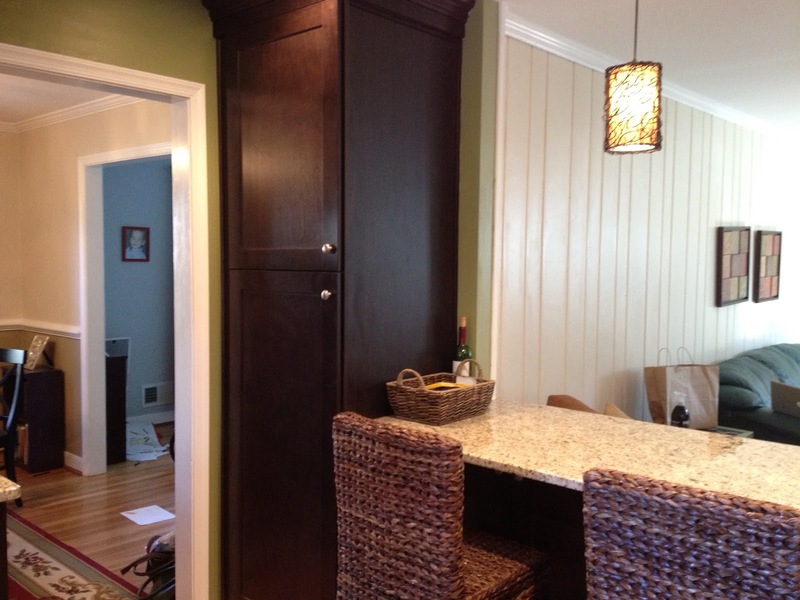 This remodel has given us the freedom to BREATHE in our kitchen and be able to see into the family room and parts of the dining room and playroom, too. Really, it has transformed the whole house. When we had some bad weather recently and spent a lot of time indoors, for the first time, I didn't feel like I was going completely nuts because the space is so open and peaceful. I would definitely recommend Kitchens 21 to anyone who is looking to redo a kitchen or another part of their house. We would use them again for sure. So, SO happy with the final product. Thanks, Kitchens 21!!! Job well done. 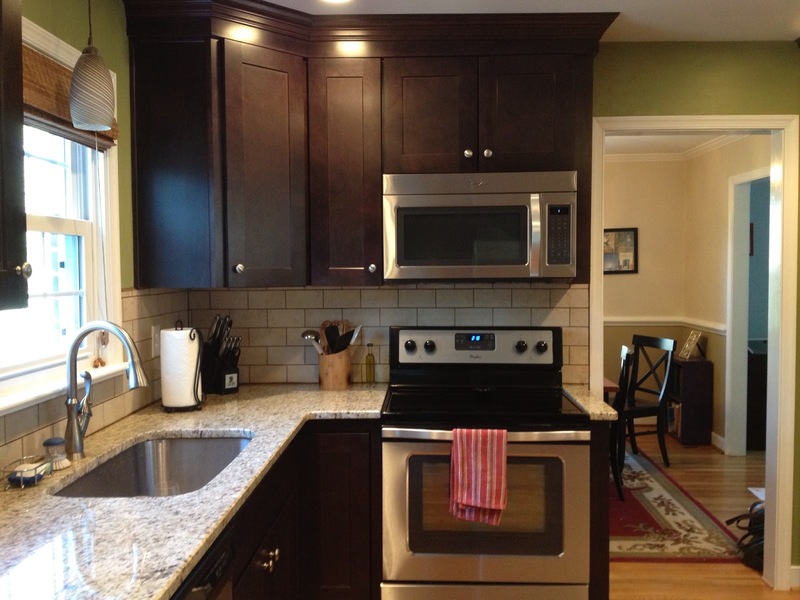 Your kitchen looks absolutely amazing. Great job!! Wow!! 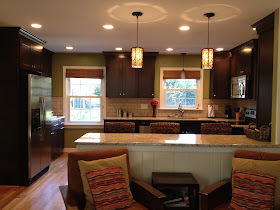 I especially love the backsplash and the pendants, but really I love everything!! However, what will you do the day you need to lock food because Dean needs it ? Did you think about a specific system to lock food ? Yes, locking food was definitely on our mind when we did this. The refrigerator has a simple side-by-side lock for it, so that is good, and the pantry closet (the original pantry closet with a door and everything) already has a lock on it that I bought awhile back. I was changing the doorknob on it and figured I might as well get something that locked! So that takes care of all the places that we have food in the kitchen. One of the cabinets has a pantry section, but we will just move food from there to the locked pantry closet when the time comes.